Even though our feet are incredibly designed to withstand the stress and pressures of life, sometimes they have their limit. Drs. Joel Brook and David Northcutt, foot specialists in Dallas, TX often see the toll taken on feet and ankles in their podiatric office. A common injury seen is when the structure of the foot or ankle sustains cartilage damage. Cartilage damage can result from a variety of causes. An injury from a bad fall, a traumatic injury during a sports game, repeated injury to the same area and wear and tear as we age are all ways cartilage can become damaged. When you injure yourself and sustain a cut or a bruise, the cells in your body heal and regenerate to bring health back to the injured area. Unfortunately, this is not the case with cartilage. Cartilage is not able to regenerate once it has been damaged which can lead to tissue damage and defect to the area. This often results in swelling, pain and restricted mobility. With patients who have sustained cartilage damage in their foot or ankle, Drs. 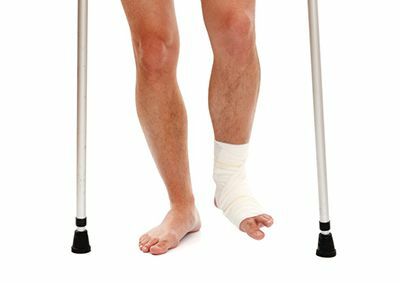 Brook and Northcutt are often able to treat symptoms with a microfracture procedure, depending on the location of the damage. This surgery involves making multiple holes in the bone beneath the cartilage that, in time, can form scar tissue in place of the cartilage and can result in decrease in symptoms. A state-of-the-art technique involving BioCartilage is new and showing some promise. This material is made from human cartilage and is placed in the void left from the damaged cartilage. It contains type II collagen cartilage growth factors and has other properties that promote cellular growth and tissue healing within damaged regions over the microfracture. The goal is restoration of pain-free function. This procedure involving BioCartilage removes the need for joint fusion or replacement. If damaged cartilage is causing pain and impacting your quality of life, please contact us today for more information about BioCartilage. Call (972) 566-7474 in Dallas, TX or (972) 943-3323 in Plano, TX.